Cover / Poster 2019 artwork by David Hermansson(above). The official Live WEB cast is starting Saturday the 13th of April at 10.30-21:30 CET on Wallen Media AB’s Youtube-channel. If you are lucky, you can find people like Macki sharing live content through their phone or pfurnee. Listen to @tothwolfgang … Join the ceremony…..link in bio! The VA signal!! 11-13th of april 2019!! NEW Vert Attack division for 2019…STREET SKATER division!! We know theres a lot of street skaters out there with awesome transition skills… NOW you got your own division !! 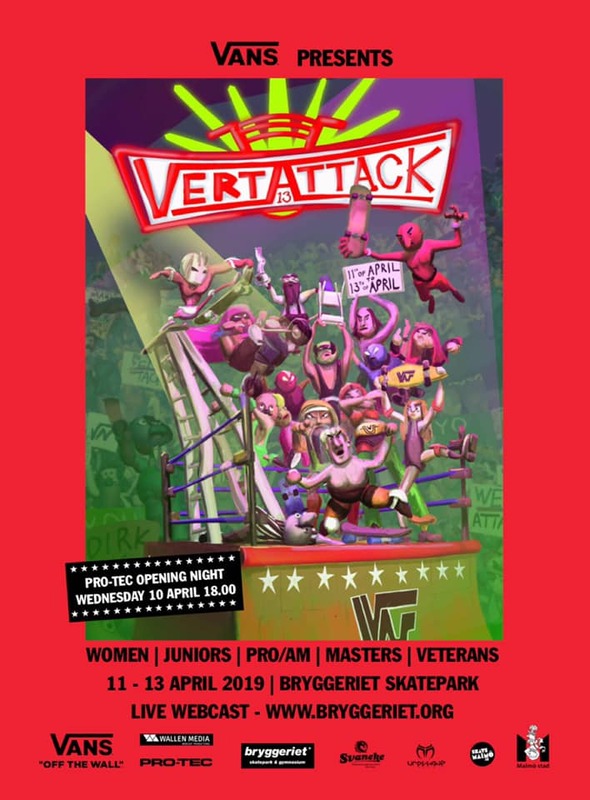 Vert Attack 11-13th of april 2019, Malmö Sweden.